The free WIFI at Fremantle’s Kings Square is very popular with visitors to our city. It’s a bit of a one stop shop to the world. Hopefully we can have it all over town as a service to overseas and interstate tourists. I wonder how many visitors take advantage of the service and if the City of Fremantle is collecting data on that. The free City of Fremantle WiFi system is popular with tourists and locals with 31,475 logins in the last 90 days at the five city locations. The most favourite spot is Kings Square with the Fishing Boat Harbour and the Library coming in second. 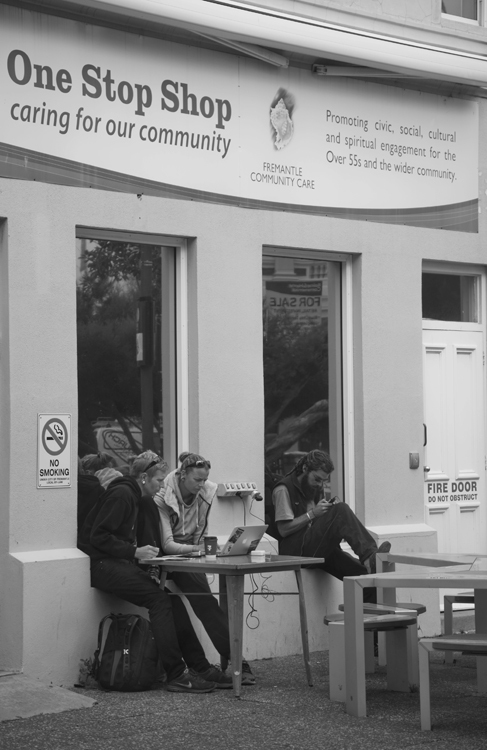 Free WiFi is available at the Meeting Place, Fremantle Arts Centre, Moores Building Arts Centre, Fishing Boat Harbour and Kings Square as well as the City Library.